We stayed around Bever for the next freight train, but decided to head to the beginning of the Albula line. 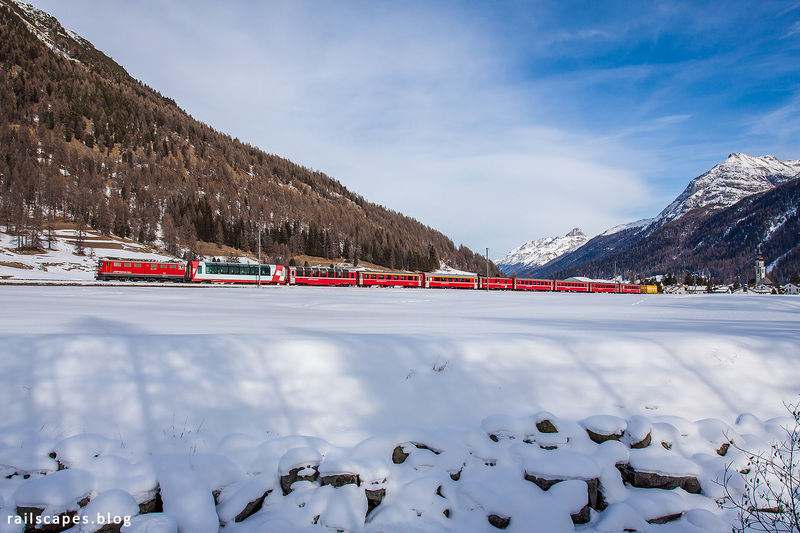 First train we got was this RE to St. Moritz, hauled by a Ge 6/6 engine. Notice the mail car at the rear of the train. In the background, the town of Bever. We were a bit late, resulting in a “panic shot” from aside, which in retrospect worked out quite well.